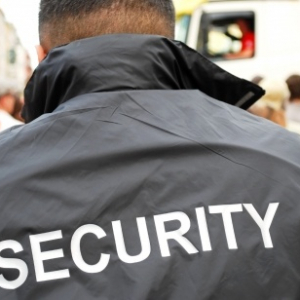 WORKPLACE VIOLENCE SECURITY EXPERT – Protection Management, LLC. Sign-up to be kept up to date with the latest News. What used to be something that happened to a few select businesses is now more common in a large variety of business types and locations. Violence in the workplace has increased over the years due to a variety of reasons, and in many cases the events may be preventable. Cases of workplace violence can be related to the job, domestic in nature, or just a plain random act of violence. If you have a business, you have a risk of violence. Do you know what that risk level is? Have you ever completed a security assessment for risk or vulnerabilities? We will help you determine your areas of concern, your risks, and advise you on how to mitigate your risks when possible. We prepare and present a custom training seminar at your facility, using your existing policies, current trends, OSHA facts/findings, and other related information. If your organization does not currently have policies, we’ll help you formulate new policies and design training sessions to teach your staff on an ongoing basis. Contact us today for a free telephone consultation to determine your needs and minimize your risks of workplace violence. Level 1 – Violent acts by criminals who have no other connection with the workplace, but enter to commit a robbery or another crime. Level 2 – Violence directed at employees by customers, clients, patients, students, inmates, or any other for whom an organization provides services. Level 3 – Violence against coworkers, supervisors, or managers by a present of former employee. Level 4 – Violence committed in the workplace by someone who doesn’t work there, but has a personal relationship with an employee—an abusive spouse or domestic partner. Violence in academic facilities is on the rise. Students who have acted out in an aggressive manner have done so for a variety of reasons. Often times they will be the loner type, the student that feels they do not fit it; they have been bullied, or they just feel as if they are on the outside. If not controlled at the first signs of aggression/trouble, it will remain a threat until such time something triggers a violent outburst. Often times there will be signs of pending violent acts. In years past those signs were not acted on in time whether that was because no one believed it was that serious, or others did not know what to watch for. In today’s world early intervention for potential problems are getting better, but there are still opportunities for improvement. In the business world, the most common act of violence can be wide-ranging in different types of businesses. For example, in healthcare violence, the most common act of violence is assaults on staff by patients, and sometimes visitors. Over the years there has been a reduction in many states in the care and treatment of mental health issues due to budget cuts. Because of that reduction, more and more mental health patients use emergency rooms for their mental health needs even though most ERs are not set up for such treatment. As a result patients that are a danger to themselves or others often times find long waits, sometimes days, in the emergency departments while medical staff search for a facility that can accept and treat them. Hospitals need to adjust their security measures to prepare and respond to this problem. The state of California in 2010 passed a law requiring healthcare facilities to report all acts of assaults and battery to the local police. This law was passed because those crimes often went under-reported or even un-reported. In many cases the police did not know there was such a serious problem. Now the law requires reporting and has set penalties in place if a crime is not reported. In all types of businesses there is the real issue of layoffs, business closings, and reduced hours due to the poor economy. Whenever something happens it will affect the employees. That’s common sense and many times management will understand that. What they sometimes forget to recognize is the impact that it will cause on their employee’s family emotionally and financially. When pushed to the edge some employees or their family members may in fact act out. In some cases it will be just verbal outbursts, or it could get as serious as an active shooter situation. Employee’s personal issues do not need to be managed by the employer; however the employer should be aware of an increased risk associated with regards to the economic loss by their staff. Active Shooter incidents are real, and no business or workplace is exempt from this act of violence. Active shooters have affected schools, colleges, universities, retail, healthcare, assisted living centers, recreation, military installations, banking, social clubs, sporting events, public buildings, government offices, parks, postal facilities, parking facilities, fitness centers, churches, and so on. No matter what type of business you have, it can happen to you. Have you planned for the potential? Do you know your risk level? Does your staff know what to do? Run? Hide? Fight back or submit? You can plan for such an event without causing panic and fear. Training is the key to preparedness and prevention. Contact Us Today For a Free Telephone Consultation. Click here to receive FREE forms, report samples, and policies. Our purpose is to work with clients to build trust and provide quality services that promote professionalism, ensures fiscal responsibility, reduces the risk of crime, reduces the fear of crime, and promotes safety. Submitting a request for consultation through our website, signing up for our quarterly newsletter, or using our services gives us permission to add your contact information to our mailing list. We do not sell your information to any other party, and you can opt out at any time.